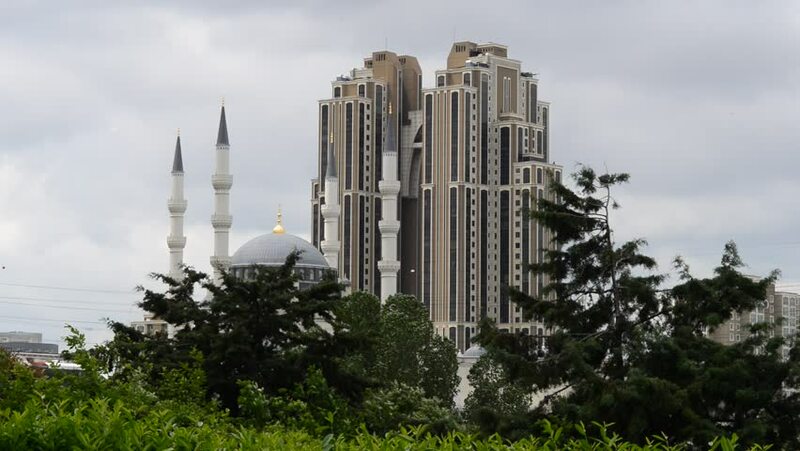 A tall building behind a four minaret mosque. hd00:15Day time-lapse of the Bahrain Financial Harbour buildings with traffic on the King Faisal Highway. Shot tilts up with as it time-lapses.